Varicose vein treatment Spring Hill FL allowed Janet to enjoy a healthy life again. Janet’s varicose veins were causing her a lot of pain in her legs while walking. Janet was also developing blood clots in her leg veins that were putting her life at risk because a blood clot could travel from her legs to her lungs, causing a pulmonary embolism that could lead to her death. Board-Certified Vascular Surgeon, Dr. Kerr used endovenous laser ablation (EVLT) to painlessly and quickly remove the varicose veins that were causing Janet health problems and putting her life at risk. After laser vein removal, Janet is enjoying life again without the pain in her legs that was preventing her from enjoying an active lifestyle. Now Janet no longer has to worry about deadly blood clots developing in her leg veins. Her life has changed for the better…she can wear shorts with confidence, walk without pain, and practice Zumba with energy. “My name is Janet and I’m a patient of Dr. Thomas Kerr. He’s a Board Certified Vascular Surgeon…he’s fantastic. I learned about him through talk. People recommended him and doctors recommended him. I found him in the phone book and decided to give him a call 20 years ago and he’s been my doctor ever since. I love coming here. Every office he has, the staff is very professional, very courteous. I’ve been here so long, they know me by voice now. Everybody is fantastic, and every office that he has, they’re just as good. I don’t have any complaints. I’m going to stick with him, because if he was 100 miles away or 200 miles away, I would still go to him. Varicose veins are a serious medical condition because blood clots can develop inside them, putting your life at risk. Varicose veins worsen with time, only getting bigger and bigger, causing pain in your legs and making them feel heavy. To avoid all the health risks and discomforts of varicose veins, our vascular surgeons recommend that you have them treated as soon as possible. Varicose vein treatment is covered by insurance because they are not a cosmetic issue, they are a dangerous vascular disease that can lead to death if not taken care of. 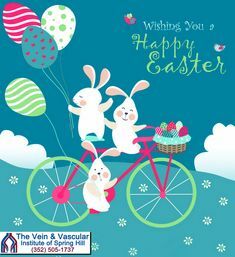 At The Vein & Vascular Institute of Spring Hill, our vascular surgeons can painlessly and safely remove your dangerous varicose veins using endovenous laser ablation. To schedule a vein consultation with one of our Board Certified Vascular Surgeons, give us a call at (352) 505-1737.